Conquered Gaul, prevailed in Civil war. Mastermind of Roman Empire. Killed by senators. With Octavius, led the Empire after Caesar's death. Liaison with Cleopatra caused downfall. Mastermind of conspiracy to assassinate Caesar. Committed suicide at Philippi. Shakespeare makes Caesar's triumph take place on the day of Lupercalia instead of six months earlier. For greater dramatic effect, Shakespeare made the Capitol the location of Caesar's death and not the Curia Pompeiana (Theatre of Pompey). Caesar's murder, the funeral, Antony's public speech, the reading of the will and Octavius' arrival all take place on the same day in the play. However, historically, the assassination took place on March 15 (The Ides of March), the will was published three days later on March 18, the funeral took place on March 20, and Octavius arrived only in May. Shakespeare combined the two Battles of Philippi although historically, there was a twenty day interval between them. Shakespeare gives Caesar's last words as "Et tu, Brute? Then fall, Caesar!" ("Even you, Brutus? Then fall, Caesar!" in English). Plutarch believes that Caesar said nothing, pulling his toga over his head when he saw Brutus among the conspirators. However, Suetonius, another historian, reports his last words as "Even you too, child?" before falling to the ground dead. It is believed that Shakespeare took a different course from these historical facts in order to reduce time and compress the facts so that the play could be staged more easily. The tragic force is condensed into a few scenes for heightened effect. Marcus Brutus was remarkable for his honesty, his excellent disposition, and his fondness for study. He was a nephew of Cato, the philosopher, whom he loved and always tried to imitate. He was still a young man when he went with his uncle Cato to Cyprus to fight King Ptolemy. He conducted himself so well that he was highly praised on his return to Rome. When the empire was divided into two parties under Pompey and Cæsar, it was generally believed that Brutus would join the latter, because in former times his father had been put to death by Pompey; but he took into consideration the public good rather than his own private feelings, and, believing Pompey to be on the right side, took part with him. He was sent to Cilicia as lieutenant, but, finding little opportunity for service there, he went to Macedonia, where Pompey and Cæsar were just preparing for a great battle. When he arrived, Pompey was so surprised and pleased at his joining him that he embraced and saluted him before all who were present as a person of great importance. Brutus spent his whole time, except when in Pompey's company in study; and, although it was midsummer, exceedingly warm, and he had sometimes to wait a long while before his tent was brought after him, he always managed to find a quiet spot where he could read and write. Cæsar was so fond of Brutus that he ordered his commanders never to kill him on the field, but if possible to take him alive, charging them at the same time rather to suffer him to escape than to do him the least injury. So, after the famous battle of Pharsalia, when Pompey, being defeated, managed to escape to the sea, Brutus likewise fled, and made his way to Larissa, whence he at once wrote to Cæsar. He received a reply to his letter, in which Cæsar forgave him, expressed the greatest delight at his safety, and bade him come to him. He obeyed, and was welcomed by the great conqueror as one of his best friends. Nobody knew what direction Pompey had taken when he escaped from Pharsalia but Brutus, who suggested Egypt, and gave his reasons for so doing. He was right; but, as we know, poor Pompey had met his fate before Cæsar reached Ptolemy's kingdom. Having secured Cæsar's forgiveness for himself, Brutus sought it for his friend Cassius and won it; for when he pleaded he did it with his whole heart and soul, and seldom failed. The first time Cæsar ever heard him speak in public, he said, "I know not what this young man intends, but whatever it be, he intends strongly." 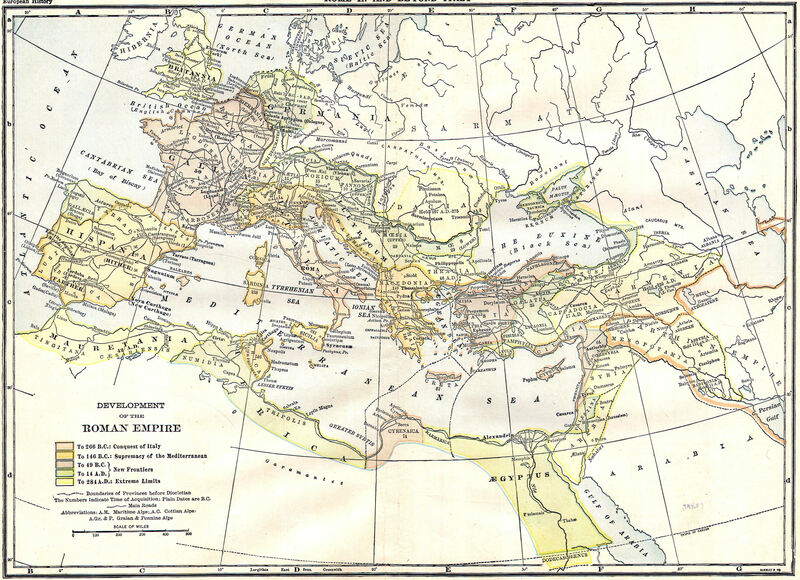 Cæsar had so much confidence in Brutus that when he made his expedition into Africa against Cato and Scipio, he left him to govern Cisalpine Gaul. Brutus showed himself worthy of the trust, and when the conqueror returned, he was gratified to see how his glory had increased in the cities over which Brutus ruled; for while people in other provinces were miserable on account of the harshness and cruelty of their governors, those under Brutus were happy and contented. Cæsar rewarded Brutus by appointing him prætor; but in so doing he offended Cassius, who thought that he ought to have been the first in that office, in consideration of the service he had done the state. Some ill feeling was aroused in this way against Brutus, and Cassius treated him with indifference for several months. It was his hatred of Cæsar which prompted him at last to seek Brutus's friendship again. Cassius, having determined to crush the dictator, knew that he could scarcely hope to succeed unless Brutus, who stood well with the people, would help him. So he went among his friends, and pointed out to them the danger of Cæsar's fast-increasing power, and sent them, one after another, to Brutus, to poison his mind against the man who loved him, and who hoped to make him his successor. When this was done, he went himself to Brutus and made friends with him. He was plotting the assassination of Cæsar, and knew that if Brutus took part, the act would be justified in the eyes of the citizens. 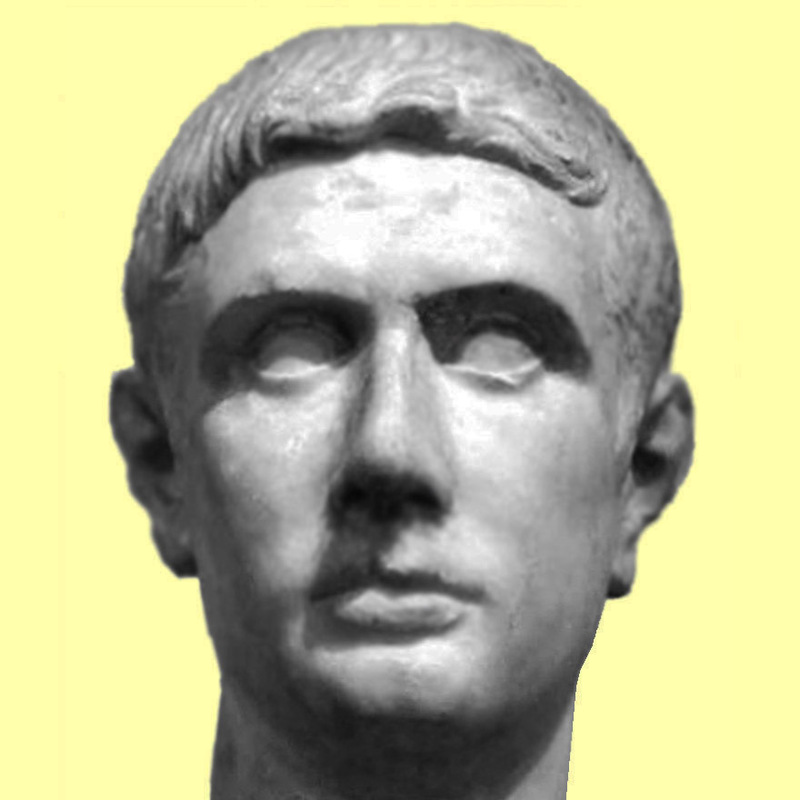 On taking leave of Brutus, he asked, "Do you expect to be present in the senate on the Calends of March? for Cæsar's friends intend to crown him king on that occasion." Brutus answered that he would not be there. "But what if they should send for us?" asked Cassius. "It will be my business, then," answered Brutus, "not to hold my peace, but to stand up boldly and die for the liberty of my country." "But what Roman will suffer you to die?" asked Cassius, with emotion. "From you they expect tyranny to be crushed, for they are ready to suffer anything on your account, if only you will show yourself what they think you are, and do what they expect." They then embraced, and each went on his way to interview his friends. So the conspiracy grew. On the Ides of March the senate met in a place that was particularly favorable for the purpose of the conspirators. It was a portico adjoining the theatre, and near the centre stood a statue of Pompey, opposite to which was a semicircle of benches. There they could assemble without exciting suspicion, and they hoped that the leading men of the city, who would be sure to be present, would stand forth and assert their liberty as soon as the deed was done. Cæsar was so long in coming to the senate that it was feared the plot had been discovered. Such was not the case, however, but several bad omens and unfavorable sacrifices had made him suspicious and unhappy, so that when he did at last appear, it was with the determination to attend to no business of importance on that day. When he took his seat, the senate being assembled, the conspirators gathered close about his chair, which stood just in front of Pompey's statue, as though they had an important petition to make, and, according to a previous arrangement, Tillius Cimber began to plead in behalf of his brother, who was in exile. The others joined their prayers to his, took Cæsar's hand, kissed it, also his head and breast, and became so violent that he stood up, whereupon Tillius caught his robe with both hands and pulled it from his shoulder. This was the signal, at which Casca, who stood behind the dictator, drew his dagger and struck at his neck. The wound was slight, and, snatching hold of the handle of the weapon, Cæsar cried aloud in Latin, "Villain Casca, what do you?" A great many blows followed, and Cæsar looked about to see if he could make his escape, but when he saw Brutus, the man he had loved and honored, with his dagger drawn against him, an expression of grief and reproach came into his face, and he ceased to resist. He merely covered his head with his robe, and so thick and fast fell the blows that the murderers in their eagerness actually wounded one another. It had been suggested that Antony ought to be put out of the way too, in order to secure liberty for the commonwealth; but Brutus would not consent to so unjust an act, particularly as he believed that with Cæsar's death a change might be worked in so gifted and honorable a man as Antony that would go far towards the establishment of liberty. Antony had been purposely detained at the door by Trebonius, who engaged him in conversation; but when the senators rushed out and he heard what had happened he thought his life was in danger, so disguised himself and fled. Great excitement filled the city when the death of the dictator became known; but when it was found that there was to be no further bloodshed it soon subsided. Brutus went to the Forum and made an oration, which was loudly applauded by the crowd that gathered to hear him, and which restored confidence. Cicero and all the other orators spoke in favor of peace, and at last it was agreed that the conspirators should not be punished, but that their deed should rather be regarded as a blow for liberty, which ought to be rewarded. So the provinces were divided among them, and then public attention was turned towards Cæsar's funeral. Antony spoke in favor of a public funeral, Cassius violently opposed it; but Brutus sided with Antony. This was a mistake; for when the Romans beheld the body of their beloved Cæsar, and Antony made a touching oration, holding up the bloody gown pierced with innumerable dagger-strokes, cries and lamentations filled the air, and many exclaimed, "Down with the murderers! Kill the assassins!" The whole city was aroused, and tables and benches were dragged from the shops round about and heaped together for a funeral pile. The body of Cæsar was placed on the pile, which was then set on fire, and the excited multitude seized the burning brands and rushed with them about the city, intending to fire the houses of Cæsar's murderers. Fortunately, they were warned in time to guard their houses and hide themselves. Thinking discretion the better part of valor, Brutus stole out of the city, and made up his mind not to go back until the fury of the people had abated. Meanwhile, Octavius Cæsar, whom the great conqueror had adopted and made his heir, returned to Rome, and by distributing the money that the will had set aside for the citizens won so much favor that he soon got the better of Antony. He formed a powerful party among the soldiers that had served under Cæsar, a large part of the senate sided with him, and he was further strengthened by Cicero, who joined him because he hated Antony. Then the city was again divided into two parties, many of the soldiers selling their services to the highest bidder, and violent quarrels between Octavius and Antony, the two leaders, took place. Knowing that while affairs were in such a state he could do no good in Rome, Brutus went to Athens. He was kindly received, and became so absorbed in study among the learned men of the Academy that people thought he had retired from public life. But such was not the case, for he was all the time making preparations for war; and when he heard that several Roman ships were coming along the coast of Greece, laden with treasures and commanded by one of his friends, he went to a seaport to meet them. So great were his persuasive powers that he got possession of the ships, with a large sum of money they were carrying to Rome, and then set to work to raise an army. The Roman students at Athens had already been won over, and the soldiers that remained of Pompey's army and had wandered about Thessaly ever since his defeat joyfully flocked to join Brutus. The governor of Macedonia aided him, and in a very little while he found himself surrounded by a splendid army and an ample supply of horses and arms. He then went over to Asia, where Cassius had been equally successful. With such forces as these two leaders combined were prepared to bring into the field, success seemed sure. Meanwhile, Octavius Cæsar had driven Antony out of Italy, but after making himself obnoxious to the senate, had made friends with him and Lepidus, and formed the second triumvirate, an account of which will be found in the life of Antony. Brutus had heard of these alterations at Rome, and, being a man who never could be turned from a purpose when once he was convinced that it was right and honest, his eagerness to restore liberty to his country and save her from the power of the triumvirs was greatly increased. So he urged Cassius to move on with him to Europe without further delay. A strange story is told of a so-called apparition that appeared to Brutus one night just before he left Asia. He was so anxious about the preparations for the war he had undertaken that his sleep was disturbed, and he spent the greater part of the night making his plans, reading, and studying. Thus one night, after everybody in the camp had gone to rest, he sat quite alone in his tent, thinking about the great enterprise that lay before him. A dim light burned on a little table by his side. Suddenly he fancied some one came in; he looked up, and beheld a strange, horrible-looking being in the doorway. "What art thou?" asked Brutus, boldly. "Art thou god or man? And what is thy business with me?" In a deep, hollow, unnatural tone, the spectre answered, "I am thy evil genius, Brutus; thou shalt see me at Philippi." "I will meet thee there," replied Brutus. When the apparition was gone, Brutus summoned his servants, but they declared one and all that they had seen no one enter his tent and had heard no sound. Early in the morning he went to Cassius and told him of his strange, unearthly visitor. Cassius belonged to the school of the celebrated philosopher Epicurus, whose disciples were taught to account for everything by a natural cause, so he argued in this way: "You know, Brutus, that in our sect we believe that not all we feel or see is real and true, and that the mind, like wax, readily receives impressions. These impressions are by the power of the imagination moulded into curious forms that do not exist in nature, as we constantly see in dreams. The mind is always in motion; but when the body, as in your case, is tired and distressed, the mind is in an excited and unnatural state. There is no reason for believing that there are such beings as demons or spirits, or that, if there were, they would assume a human shape or voice, or have power to affect us. At the same time I confess I wish there were such beings, and that they would help us in our sacred and glorious enterprise, so that we might not have to depend entirely on fleets and armies." Brutus was comforted by this reasoning, and, taking courage again, he embarked for Italy. Cæsar and Antony, after having proclaimed themselves triumvirs for five years, raised a large force and marched to the plain of Philippi. There the two grand armies met, Cæsar encamping opposite to Brutus, and Antony opposite to Cassius. Brutus had fewer men than Cæsar, but their arms and equipments were far more rich and splendid, for he had an idea that they would fight harder to preserve the gold and silver armor which he had given them than they would if it were less valuable. Before the battle began there were many bad omens in the camp of Brutus and Cassius. The garland that the latter was to wear in the sacrifice was handed to him upside down; then the golden image of Victory that was carried in the solemn procession fell from the hands of the man who held it; birds of prey appeared about the camp, and swarms of bees flew into the trenches. The superstitious soldiers were so affected by these things that the soothsayers had trouble to calm them, and even the Epicurean philosophy of Cassius himself was shaken. Brutus was all impatience for the fight, but Cassius desired to postpone it as long as possible. An officer in Brutus's army advised him by all means to tarry over the winter. "In what better condition do you hope to be by that time?" asked Brutus. "If I gain nothing else, I shall have lived that much longer," said the man. This answer so displeased both the generals that it was decided to fight the very next day. As soon as it was morning, the signal of battle, the scarlet coat, was displayed, and Brutus and Cassius met midway between their two camps to make the final arrangements. Before they parted, Cassius said, "May the gods make this day successful! but, as the most important of human events are the most uncertain, and as we may never see each other any more, tell me what is your resolution concerning flight and death." Brutus answered, "When I was younger and less experienced, I was disposed to condemn Cato for killing himself; I thought it impious and unmanly to sink beneath the stroke of fortune or to run away from the divine course of nature. Now, in my own case, I am of another mind, and if our wishes are not realized in this undertaking I shall make no further attempt, but will die content with my fortune. I gave my life to my country on the Ides of March, and have lived since then a second life for her sake, with liberty and honor." Cassius smiled, and, embracing Brutus, said, "With these resolutions let us charge the enemy; for either we shall conquer, or we have no cause to fear those that do." So the two commanders set about completing their arrangements, and then made the attack. Cassius was conquered, but Brutus was victorious. They would have carried the day had it not been for a mistake which caused their ruin. It was this: Brutus did not go to the relief of Cassius because he believed that, like himself, Cassius had gained a victory, and Cassius did not seek relief from Brutus because he thought that Brutus had been overcome. Brutus, on his return from plundering Cæsar's camp, began to wonder at not seeing Cassius's tent on the spot it had occupied high above the rest, and some of his men who had been reconnoitring assured him that something dreadful must have happened to Cassius. So he rallied his men and marched to the relief of his friend. He found the camp deserted and Cassius dead; for, mistaking a party of his own men for the enemy, he had caused one of his slaves to put him to death when he saw them rapidly approaching his camp after his defeat. Brutus wept when he beheld the body of Cassius, and called him "the last of the Romans," for he said that Rome would never again produce a man of so great a spirit. He then gathered together all that were left of Cassius's soldiers, promised each a liberal reward as recompense for what he had lost, and a great deal more if all would fight once again for him. Thus encouraged, the remnant of Cassius's army promised to do their utmost, and followed their new leader to his camp. Meanwhile, Antony, having been informed of the death of Cassius, eagerly awaited the dawn of day, and returned with his entire force to the battlefield, showing the utmost anxiety to lose no time. This was his reason: during the land-fight of the previous day there had been a battle at sea, in which Brutus's fleet had so defeated Antony's that few of the vessels escaped, and, as they were bringing a fresh supply of soldiers, the loss was serious. Brutus had not yet heard of that engagement, and Antony's desire was to draw him into another battle before he should do so and become elated by his success. Besides, he knew that Brutus would scarcely consent to a second conflict just then if he heard of the success of his fleet, because he was thus enabled to get an ample supply of provisions, and had the best positions on land as well as at sea. Nevertheless, it was three o'clock in the afternoon before Brutus led his men to battle. He showed himself an expert general and a brave soldier, determined to spare himself no peril if only he could gain the victory. Many brave men were slain in defending him, and one Lucilius, seeing a party of the enemy's horse galloping full speed towards Brutus, put himself in their way, and, when he was captured, told them he was Brutus. They believed him, and immediately sent forward a messenger to tell Antony that they had taken Brutus alive. Antony came out to meet them, because he was so pleased that he could not wait, and all the soldiers who heard that Brutus was coming gathered near to see him. Lucilius advanced boldly, and said, "Be assured, Antony, that no enemy either has taken or shall take Marcus Brutus alive. I am come here by a cheat put upon your soldiers, and am ready to suffer any punishment for it you may see fit to inflict." All were amazed, but Antony, turning to those about him, said, "I see, fellow-soldiers, that you take it ill that you have been thus deceived, and feel yourselves injured on account of it; but let me tell you that you have taken a booty better than what you sought. For you were in search of an enemy, but you have brought me here a friend. Had you brought Brutus to me alive, I know not how I should have used him, but of this I am sure, that it is better to have such men as Lucilius our friends than our enemies." Having spoken thus, he embraced Lucilius, who forever after was his faithful friend. The army of Brutus met with a total defeat, but with a few friends he made his escape and passed the night in a cave. Towards morning one of the friends said, "We must not stay here longer, for it is not safe; we must fly." "Yes, indeed," said Brutus, rising, "we must fly; not with our feet, but with our hands." He then shook hands with each of his companions, and thus addressed them: "It is a great satisfaction to me that all my friends have been faithful. If I am angry with fortune, it is for the sake of my country. As for myself, I am more happy than my conquerors, for I shall leave behind me that reputation for virtue which they, with all their wealth and power, will never acquire. It will always be said of them that they were an abandoned set of men, who destroyed the virtuous for the sake of the empire to which they had no right." He then entreated each of his friends to provide for his own safety, and drawing aside with Strato, who was one of the oldest and dearest, he fell upon the point of his sword and killed himself. The body of Brutus was found by Antony, who commanded it to be wrapped in a rich purple mantle. After it was burned, the ashes were carefully placed in an urn and sent to the mother of Brutus. Marcus Antonius (c. January 14, 83 BC–August 1, 30 BC), known in English as Mark Antony, was a Roman politician and General. He was an important supporter and the best friend of Gaius Julius Caesar as a military commander and administrator. After Caesar's assassination, Antony formed an official political alliance with Octavian (Augustus) and Marcus Aemilius Lepidus, known to historians today as the Second Triumvirate. Silver denarius of Marcus Junius Brutus Macedonia (northern Greece), 43-42 BC A coin celebrating ancient Rome's most famous murder This coin was struck in honour of Marcus Junius Brutus, one of the assassins of Julius Caesar. The reverse shows the cap of liberty given to freed slaves flanked by two daggers. This indicates Brutus' intention of freeing Rome from Caesar's imperial ambitions and the murder weapons employed to do so. Below is the day of the deed; EID.MAR, the ides of March.